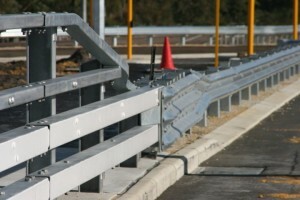 Fabricated Bridge barriers are built to give road users comfort, security and to prevent them from running over the edge. 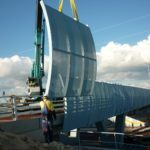 Fabricated barriers are custom made for each order as each bridge is unique in their length, height, slope and can be made to low and high performance requirements. 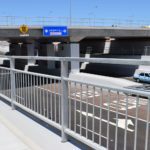 After fabrication, bridge barriers are hot dip galvanised to the AS/NZS 4680 standard and if required can have additional paint coats added for special requirements such as extra visibility. 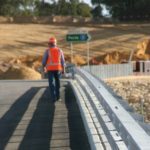 Safety Barriers WA (SBWA) have successfully completed the supply and installation of fabricated bridge barrier projects over the past 13 years around Western Australia including all 19 bridges on the Perth Bunbury Hwy project. See our Related Projects below. 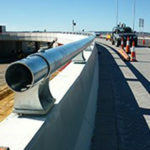 All materials supplied and installed by Safety Barriers WA conform to Main Roads WA (MRWA) 800 Series specifications. 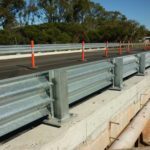 Top Rail is a Regular Performance Vehicular Steel Barrier that is designed for the tops of concrete parapets and wing walls. 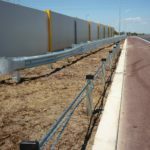 It can be used in a median or verge application and provides a safe height barrier in lieu of higher concrete solid walls. Top Rail is fabricated from steel pipe on pedestal posts and bolted to the top of the concrete walls. 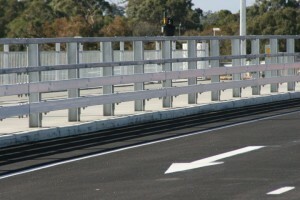 Fabricated Bridge Balustrades are typically installed for edge protection of cyclists and pedestrians on Principal Shared Paths (PSP’s) across bridges. 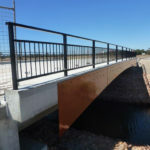 These low performance barriers are custom made to the requirements and scope of the project with typical construction requirements conforming to MRWA 800 Series specifications. 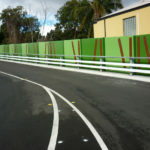 Protective Bridge Screens (also known as Anti-throw screens) are installed across the outer edges of overpasses and bridges and are designed to prevent objects from being thrown from the bridge or overpass increasing the safety and protection of assets such as vehicles, pedestrians, trains and railways services below the bridge.